Soo Line Limo delivers safe, convenient, and comfortable door-to-door airport transportation, with pick-up and drop-off service to just about anywhere with an address: homes, hotels, offices, points of interest, train stations, airports, and cruise terminals. As the airport transportation experts since 1984, Soo Line Limo knows what it takes to get you to your flight safely and on time. The "Limousine Party Bus" specializes in providing exceptional group transportation for a wide variety of clients. We understand the importance of making "YOUR" Event yours and up to your standards. 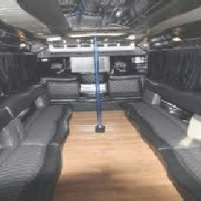 We offer the Premiere Limousine Bus / Party Bus in the area! We can accommodate up to 14 people comfortably at any time of the day or night! Our Bus is meticulously maintained to the highest standards. We know that you demand excellence and that is what we offer! Our Mission is to take you where you need to go, no matter if it is raining, snowing, lightning, day or night, we offer local Sevice 24 Hrs 7 Days 365 Day Year, Low Price Guaranteed. You have a meeting across town, night out with friends,grocery shopping or need a ride anywhere call us for prompt, courteous service. 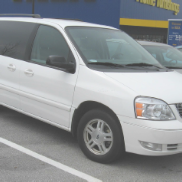 We have clean vehicles, courteous and polite drivers, and the most experience of any service around.